"An 8-storey garment sweatshop collapsed, burying alive thousands. Out of the horror, a ground-breaking compensation scheme was set up to hold corporations accountable. But one company -- Benetton -- won’t pay up unless we make this a PR disaster." Benetton is prepping for Milan fashion week. It’s Italian fashion’s most important event of the year -- and our opportunity to create a massive PR scandal. Click to demand Benetton pay up now and save this scheme. When we get to 1 million signers, we’ll embarrass them in a spectacular fashion week show they can’t ignore. Typically when disaster strikes, multinational companies simply walk away. No more. For the first time the UN chaired Rana Plaza Arrangement brings together all the key players -- the Bangladesh government, manufacturers, global retailers, and labour organisations. And if it succeeds, it would be a game-changer for corporate accountability, supply chain scrutiny, and workers rights around the world. But if Benetton flouts the scheme, other companies will copy them, and this chance to set a precedent for justice for victims will evaporate. Benetton is the only major international brand with confirmed ties to Rana Plaza that hasn’t joined up. While they earned profits of €139 million the year of the collapse, they argue their duty is done because they donated an undisclosed amount to a local charity. But charity is not the same as equitable compensation. The truth is this collapse was a disgrace of corporate negligence and ideally compensation would be mandatory, but as a minimum, the companies involved with this human tragedy should be forced to contribute to this voluntary scheme. For Benetton and other retail giants, brand reputation is everything -- so let’s hit them where it hurts. The more of us who sign, the louder Benetton’s CEO will hear our message. 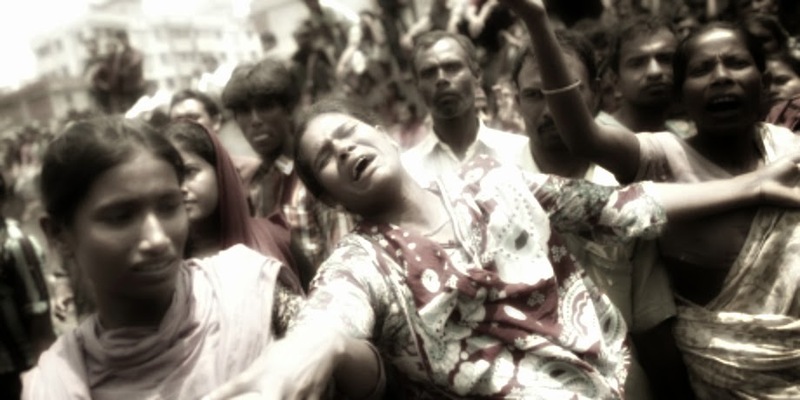 Sign now to get justice for the Rana Plaza survivors, then share this with everyone. We know how to get corporate giants to act. After the building collapse, our community mobilised in massive numbers to force the world's leading labels like H&M to sign up to a Fire and Safety Accord in order to prevent any more needless deaths in the pursuit of profit. Now, let’s come together once again to demand compensation for the families still waiting for help.